Apple's MacBooks tend to run extremely hot without pushing the limits. Just by watching a 1080p Flash video on a MacBook Pro can replace your skillet. 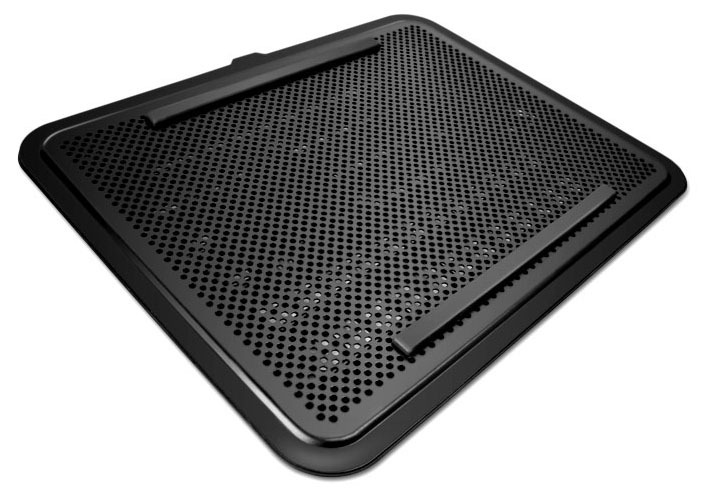 NZXT has unveiled its new Cryo E40 high performance adaptable notebook cooling pad with two 80mm moveable fans for users to precisely pinpoint and target heat spots in order to best reduce heat temperatures. It'll fit virtually any laptop up to 15-inches and can be powered using one USB port. The Cryo E40 features an ultra-slim and lightweight metal and plastic portable design with a removable mesh fan cover and safe - low-powered magnetic clasps allow for quick and easy fan arrangement. The Cryo E40 will be available in May for $27.99.